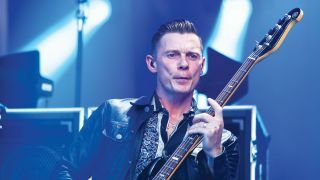 The Stereophonics lifer Richard Jones on slap bass, the benefits of jury service - and stealing Brit-rock’s greatest bass gig. How did you get into playing bass? “When I was 13, I had a milk round, so I saved up a couple of hundred quid and went down to Cranes Music in Cardiff. For some reason, my eyes settled on a Hohner fretless bass, haha! But it was a good starting point for getting good ears, because to play along, you had to be in the right places. 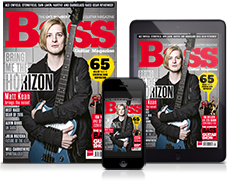 Do you play five- or six-string bass? Do you play slap bass? “When I joined the Stereophonics, I had to do jury service with the local courts - and the good thing about jury service is that you can tell them you earn £500 a week and they pay your wages. I was there for three weeks and they gave me about £1,600, so I borrowed £300 off my brother and bought a Wine Red Fender Jazz from about ’92. “Number one would be Andy Fraser. Free were basically a three-piece with a vocalist who didn’t play, and everything worked really well. He did a lot of the filling in and that kind of helped me when I joined Kelly and Stuart. That’s what I had to do, too - fill in a lot of the spaces, because we were only a three-piece.